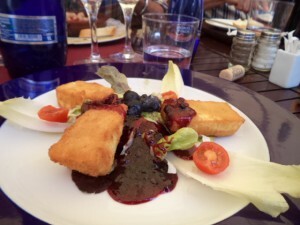 The Marina Alta Lunch Club has its origins in 2004 when a group of gentlemen, mainly ex pats but Spanish too, would meet up on Fridays with the objective of discovering restaurants that they could confidently bring their partners to at a later date. This meant that we would go anywhere in the Marina Alta, no matter how humble or how chic. From Denia in the north, to Calpe in the south, from Javea and Moraira on the coast to the villages of the Val de Pop and the Val de Laguar as well as the surrounding mountains, always in the quest of good food, enjoyment and fun. We have enjoyed and sometimes endured, almost 500 lunches and since 2011 we have posted critiques of over 200 restaurants. We hope you find them helpful.